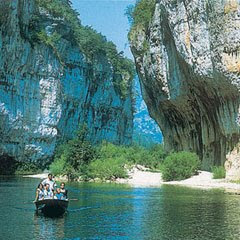 Popular areas for canoeing and kayaking are the river Aude and the Gorges du Tarn. Most of Languedoc's rivers are shallow and the canoeing is not very difficult here. Given the large number of rivers in the Languedoc area there are many canoeing and kayaking centres. Navigable rivers for canoeing and kayaking are classified into six grades, Classes I to VI. Class I being for easily navigable rivers, Class V for extremely difficult, and Class VI for rivers that are only navigable depending on the water level and presenting many risks. For those who want to practice caving, the caverns of the Lozère Plateaux are among the most famous in France. It is advisable to join a club or hire a guide and special equipment and training is required. There are notable caves in each of the departments of the region. In the south of the region are the Grotte de Limousis and the Gouffre Géant de Cabrespine in the Aude, very near each other and just 20 minutes from Carcassonne and the Grotte des Grandes Canalettes and the Grotte de Fontrabiouse about an hour away from Perpignan in the Pyrenees-Orientales. In the north you will find the Aven Armand and the Grotte de Dargilan about 50 minutes from the Lozere capital Mende, and further east is the Abime de Bramabiau. The Grotte de Clamouse is about 40 minutes from Montpellier in the Herault; north-west of Montpellier near Lodeve is the Grotte de Labeil; and even further west is the Grotte de la Deveze in the Orb Valley near St-Pons-de-Thomieres; and about an hour north of Montpellier is the incomparable Grotte des Demoiselles. To the east in the Gard you will find the Grotte de Trabuc close to the city of Ales and north of Ales is the Grotte de la Cocalière. Finally, though technically not in the Languedoc-Roussillon, just across the border near Barjac into the Ardeche is the Aven d’Orgnac. For a history of the Canal du Midi, look HERE at a previous Blog entry. There is nothing more pleasant than to have the freedom of the Canal and hire a Barge for a week or 2. 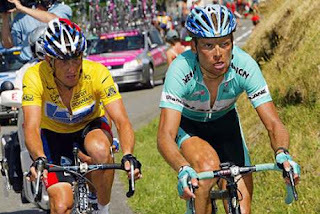 A note on the Tour de France.